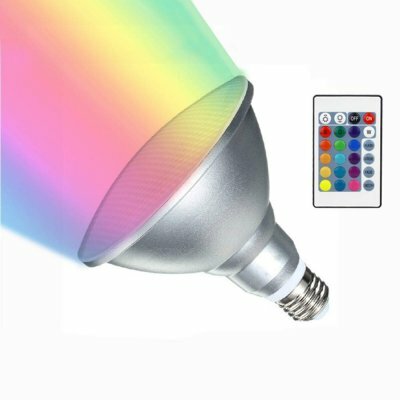 Successfully Added LED RGB Spotlight Bulb Par3010W to your Shopping Cart. RGB Colors: The spotlight is built in with 1 RGB LED bead to emit Red, Green and Blue colors and mixed colors. Easy Installation: Weighs approx 7.48oz, the ball lamp can be easily installed as it has a standard base. Various Mode: The party light owns four different modes: flash, strobe, fade and smooth mode, to be suitable for different occasions. Convenient Remote Control: With a provided remote control, you can conveniently change colors or modes in a cool way. Wide Application: Perfect for Outdoor Parties; Birthday Parties; Holidays; Proms etc.